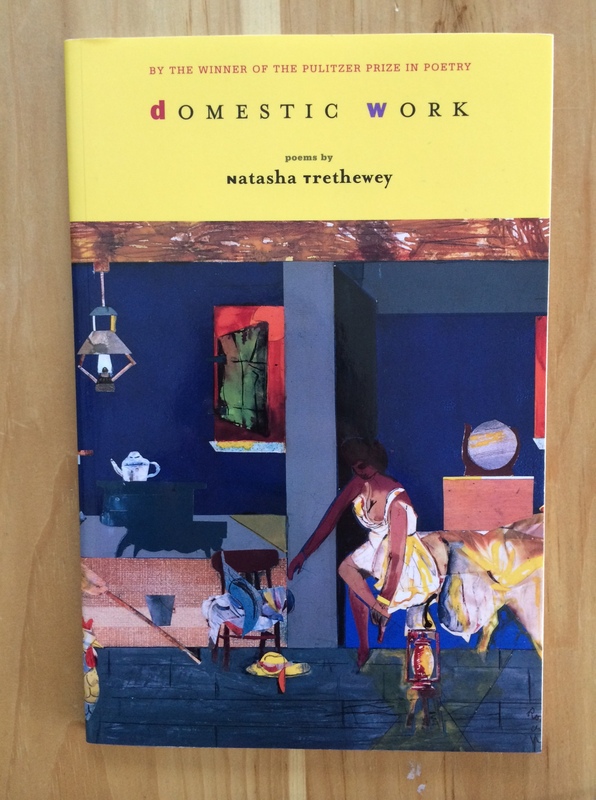 Domestic Work is the first collection of poems by Natasha Trethewey, Poet Laureate of the United Sates from 2012 to 2014 and winner of the Pulitzer Prize. The collection won the inaugural Cave Canem Prize (an annual prize for the best first collection of poems by an African American poet), selected by Rita Dove. In both free verse and gorgeous formal poetry, these poems tell the stories of working-class African American people, focusing on men and women in the South in the twentieth century. In her introduction to the book, Rita Dove writes, “With a steely grace reminiscent of those eight washerwomen [in the poem “Three Photographs”], she tells the hard facts of lives pursued on the margins, lived out under oppression and in scripted oblivion, with fear and a tremulous hope” (xi-xii). It’s the tremulous hope that shines brightest in Domestic Work, but it’s a hope that flutters on the edges of a terrible past and an uncertain present. Take, for instance, “History Lesson.” At first, Trethewey describes a picture of herself as a small girl in a flowered bikini, toes curling in the sand “on a wide strip of Mississippi beach,” painting in vivid words the sense of the photo, and the bright sun of the day. Now the focus shifts to the “history lesson” of the poem’s title, as Trethewey takes us back in time in two jumps. We learn that the poet’s grandmother is taking the picture in 1970—just “two years after they opened / the rest of this beach to us,” a chilling reminder of the cruelties of Jim Crow South; who could deny the pleasures of this beach, with its sun and its minnows, to a child? of a cotton meal-sack dress. The “meal-sack dress” on is the visual counterpoint to the bikini Trethewey’s child-self wears, which seems like symbol of progress (out of poverty, and with only the beach behind it, not the dreadful sign). But then we remember that the picture of the poet is only two years past the end of the beach’s segregation, and progress—from “narrow plot” to “wide strip”—seems a fragile, fragile thing. I think I would really enjoy this collection. Thanks for introducing me to it! I think you would too–it’s wonderful, and really approachable, too.